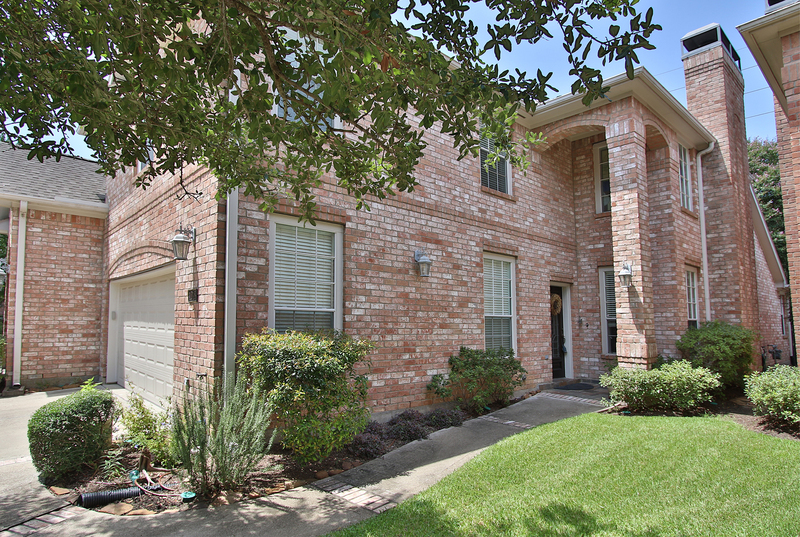 Beautiful updated townhome in gated Park on Enclave. Hand scraped wood laminate floors entire first floor. Living room with soaring ceilings opens to kitchen with all new Stainless Steel appliances, gas range with double oven, contemporary corian tops and tile backsplash opens to breakfast area that leads to your shady backyard retreat. Huge master retreat downstairs. Study upstairs plus 2 more bedrooms and fully remodeled bath. New water heater. Walking distance to Energy Corridor employers, shops, restaurants, Terry Hershey Park, Bush Elementary School and John Paul II.